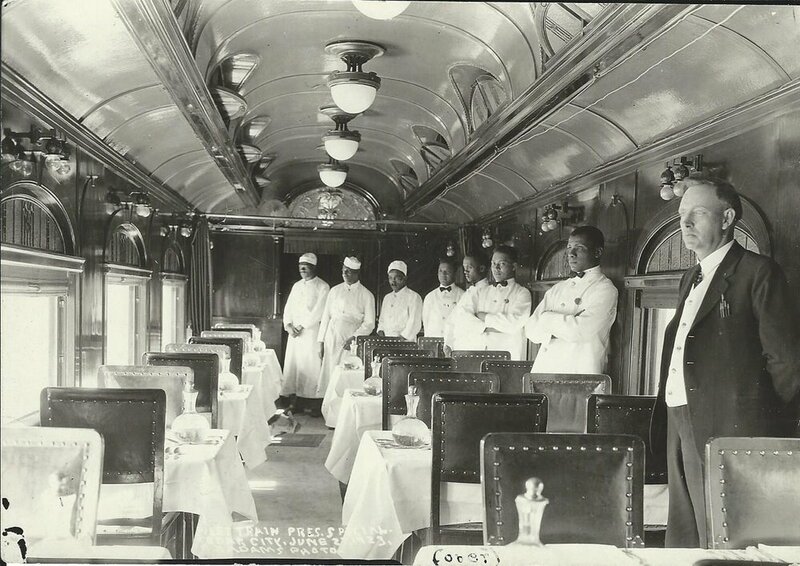 The first passenger train rolled into Cedar City on June 27, 1923. The citizens of Cedar City happily anticipated the new train, but it was one passenger in particular who fueled their excitement. President Warren G. Harding was traveling through Southern Utah as part of his "Voyage of Understanding" tour. He was the first sitting United States president to visit Cedar City, and with him came an unforgettable day. Harding’s visit to Cedar City had been announced in newspapers since the beginning of June, and immediately the townsfolk started making preparations. An “energetic” council was assembled to execute the celebration, and organizations such as the Women’s Republican Club went to work soliciting gifts to honor the President and First Lady. Some citizens even asked the City Council to direct workers to clear weeds from ditch banks on all streets, because they didn’t want President Harding “...to think that Cedar citizens are too idle to keep their town free from unsightly weeds”. Preparations lasted for several weeks, and the night before the anticipated day it was reported that car after car entered Cedar eager to see the chief executive. It was a time in America when, regardless of political party or ideology, the presidential office received the highest deference. Thus, on the morning of Harding’s arrival, a crowd of over 6,000 gathered to welcome him and his party. A caravan of more than thirteen cars, packed with the President and important state and local dignitaries, paraded down Main Street. The local Presidential committee and 36 Native Americans greeted the entourage when they arrived at the depot. The Commander-in-Chief greeted committee member and Native American alike, but paid particular attention to the children in attendance. Later, he was heard commenting that “the appearance of so many lovely children was an inspiration to him”. 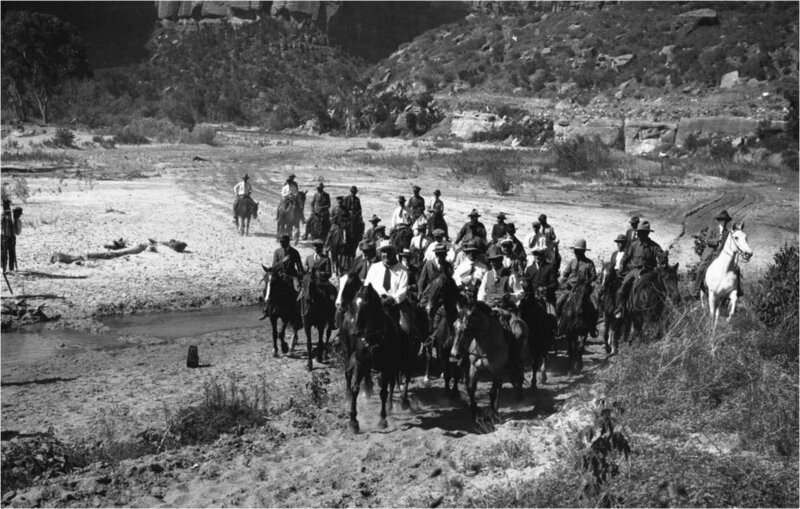 The party continued through the city and other communities towards Zion’s National Park. They rode horses there for several hours, before returning to Cedar to an even larger crowd. Every member of the visiting presidential party was awestruck by the beauty and grandeur of Zion National Park. Howard H. Hayes, the manager of Yellowstone National Park, was reported as saying that “...the thing that seemed to impress the president and members of his party most, of all the sights they beheld while on their trip west, was Zion National Park”. 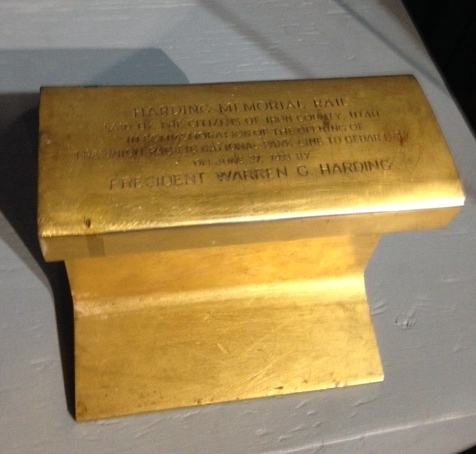 To commemorate the President's visit, sections of the rail track were pulled up and given as souvenirs. This section is on display at Frontier Homestead State Park. Before bidding farewell to Cedar City, President Harding delivered a twenty minute speech from the rear of his private car. He complimented the people of Southern Utah on their pioneer heritage, industrial attitudes, and the beauty of their surroundings. He claimed that “when (he) tells of this trip to (his) successors all future Presidents will come to visit this country of wonders”.